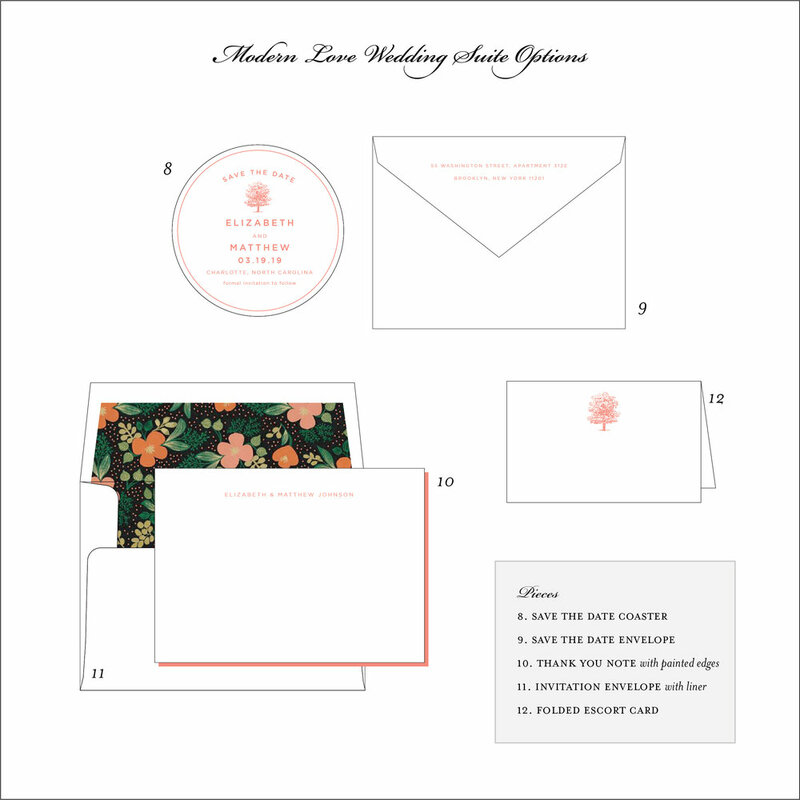 The Modern Love letterpress wedding invitation features a modern font with bright colors in a square format. Add an image to the top for a design unique to your wedding. This letterpress invitation was designed for a couple who is young at heart. A sans serif font, some strong lines and striking coral ink make it a standout. This suite features vintage illustrations on each of the cards, corresponding with the details of your event. The square layout of the invitation is unique and modern, and looks great with a brightly painted edge. This set would be great for a spring or summer wedding at any venue.